More than a month ago, TL started talking my ear off about buying a juicer. I couldn't wrap my head around why, so I kept brushing him off and talking him out of getting one. Then, we went to visit his brother, Joe. Joe had already purchased a juicer, weeks before - and he started raving about it and how it's changed his whole idea of nutrition and made him a healthier person. So I caved. 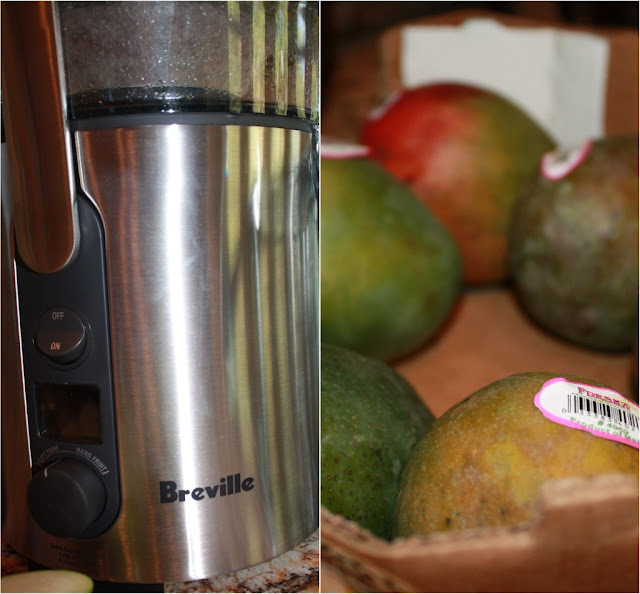 We bought a juicer. Studies have shown that more than 90% of the nutritional value of fruits and vegetables is in the juice. 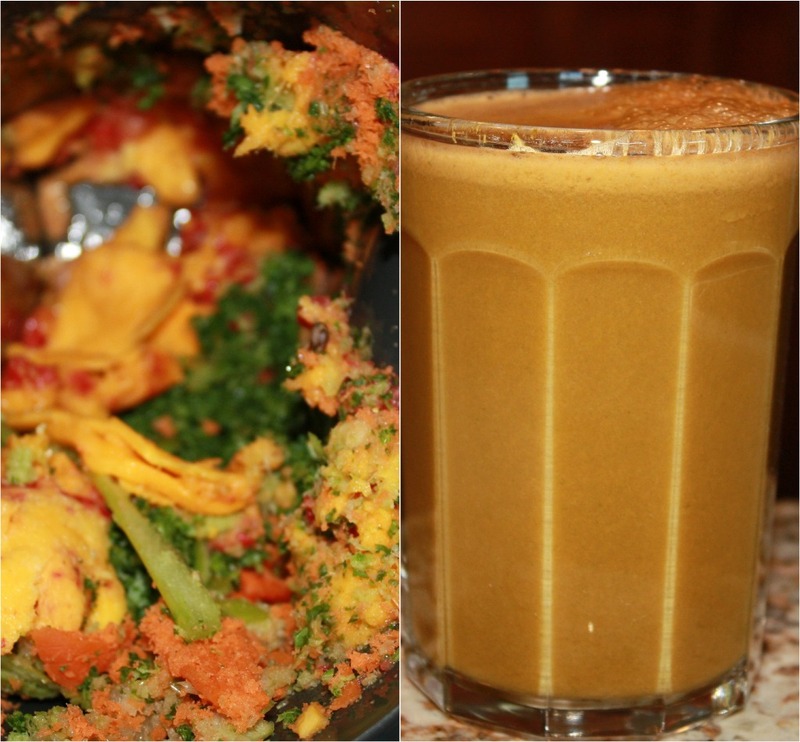 If you need more information about why juicing is beneficial, look here. Here is my main reason why I think juicing may be good for me... to sit down and eat 3 large carrots, 4 leaves of kale, 2 apples, 4 celery stocks, and 15 grapes would be pretty hard for me to do. But throwing them in a juicer, and drinking it up is fast, tastes good - and filled me up. And, I have to admit, it's kind of cool to see the food get juiced! I've been meaning to get into the world of juicing... this may have convinced me to actually do it! I've been really wanting one of these! Some friends of mine have a juicer, and I drink it at their house sometimes . . . amazing! I'm gonna look into the brand y'all got. Ohhh SISTER :) I think all of your concoctions pictured look delish! Can we talk about your kitchen! It looks like something I would pin on Pinterest :) I miss you times 10! I have been wondering about juicers and if people liked them, so thanks for doing this post! I am thinking of getting one.. it sounds amazing and so healthy! we just bought a juicer too, :) isn't it amazing how full you feel? omg girl im so jealous. i told my fiance we had to put a juicer on our registry and he thinks im crazy. clearly this is a MUST essential in the kitchen! I just came across your blog..New follower! wow- that spread looks awesome! Hmmmm...this looks like a good idea. I may be convinced. It looks like an easy way to "eat" fruits and veggies. mmm! you should check out the documentary: fat, sick, and nearly dead. it's amazing. I'm going to have to look into getting a juicer now. I need more fruits and veggies. I've never had a juicer but it seems like a good idea and sounds healthy! Yummy. Juicers are awesome. 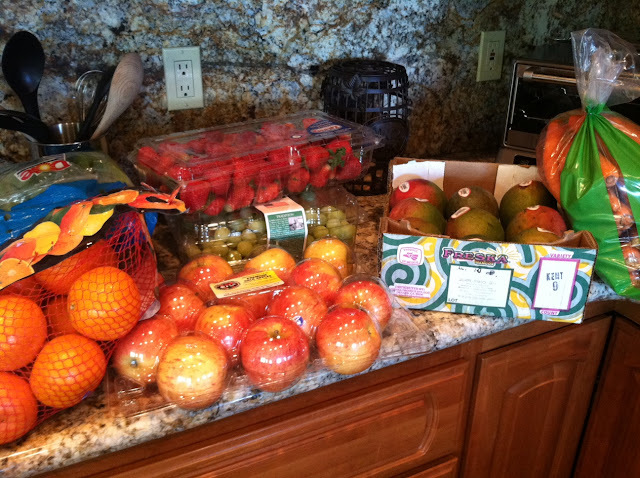 Don't forget organic fruit is a good choice. Costs a little more, but you are so health conscious, it is worth it. Our dr. said especially strawberries. Cheers. That is awesome. def. will have to look into getting a juicer. This post made me realize that I NEED a juicer! I am so bad about eating fruit and veggies and it looks like having them in juice form will help me get the servings I need. Thanks for sharing! OK you MUST have read my mind. I was literally on Macy's website yesterday contemplating what juicer to buy. I hear the Breville's are awesome so I need your opinion. I don't necessarily want to spend that much if I don't HAVE to and there's another brand / juicer that will do the same for a little less. Will you give me your opinion?! Is it worth it or have you heard of any others that are just as good? :)thanks chicky! glad you got one, exciting!! I need to look into one of those, cause I have the same problem. my mom has been doing juicing forever. they sometimes can taste a little funny but normally are pretty good! yay for you trying it out! ha! Love this! 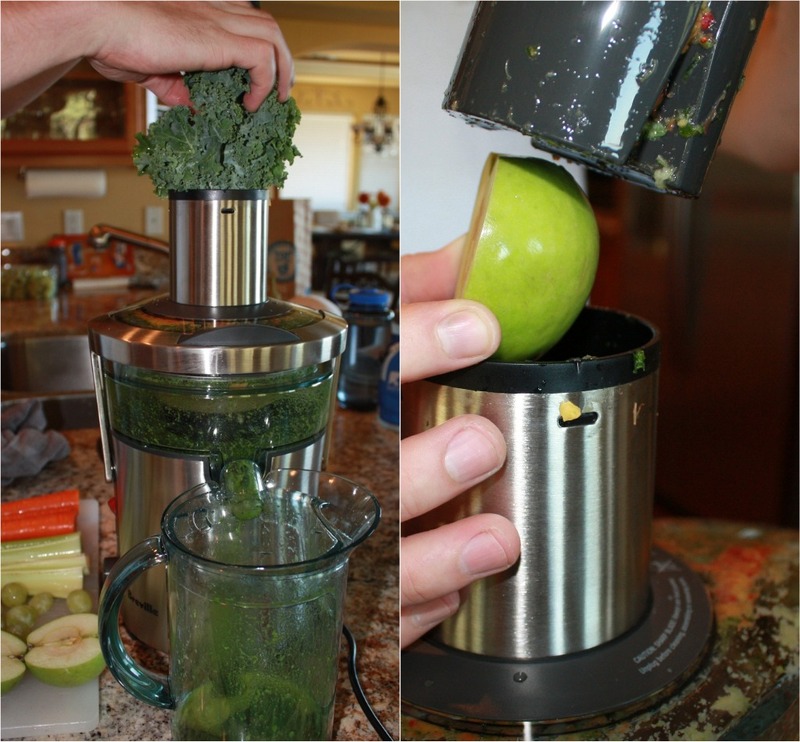 I love watching things get blended sooo I bet I'd be really entertained with a juicer! Are there recipes for juices like there are smoothies and stuff? I really have no idea! I want a juicer so bad!! We actually still have some gift cards to Macys from our wedding, I may have to see if they sell them there! I always love your pictures! LOL Sounds like a great idea to have a juicer! And Costco is so much cheaper! Ummmm....I might have to get a juicer now. I'm obsessed with the Naked Juices. Seems like this might be cheaper in the long run though. So cool! I've been thinking about juicing it up lately too, maybe I'll jump on board this train next! Yay for juicing! I've never done it, but have always been intrigued, so it might be something I try in the next year or two. I've done a little juicing - but definitely want to do more! I've been trying so hard to eat more whole foods and raw fruits/veggies, and juicing them would definitely help me fill my quota.